B1622. Herberta Masarykova. 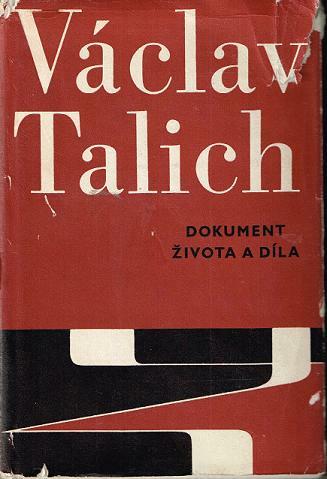 Vaclav Talich - Life and Work. Prague, Státní hudební vydavatelství, 1967. 491pp. Photos; DJ. (Czech Text) Excellent contents, ltly torn DJ. Most rare! 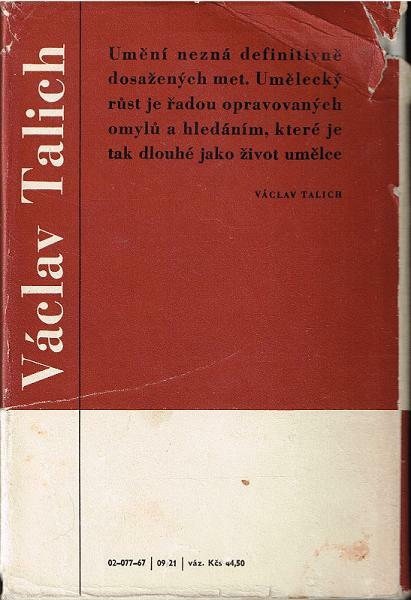 “Vaclav Talich was the most renowned conductor of Czechoslovakia, primarily responsible for the rise of the Czech Philharmonic to international standard. On the recommendation of composer Antonín Dvorák, the Prague Conservatory awarded Vaclav a scholarship and other financial support. He studied there from 1897 to 1903. He was a violin pupil of Jan Masaryk and Otakar Ševcík and was given opportunities to conduct the Academic Choir. He joined the Berlin Philharmonic in 1903 and quickly became its concertmaster. Observing its music director, Artur Nikisch, made Talich determined to become a conductor. He contracted a lung ailment in 1904, forcing him to leave the orchestra and Berlin's cool climate. He settled in the Black Sea city of Odessa, where he was concertmaster of the Municipal Opera. He moved to the mountainous, drier, and warmer climate of Tbilisi, Georgia, to become a professor of music. The aftermath of the 1905 Russian revolts reached Georgia, prompting Talich to leave in 1906. Back in Prague, he became a rehearsal coach in a singing school and conducted amateur orchestras. He was conductor of the Slovenian Philharmonic Orchestra in Ljubljana (1908 - 1912) and worked in theaters in Pizen (1912 - 1915). He was without permanent work after that. He appeared as guest conductor at the Czech Philharmonic in 1917, returning in 1918 to lead the world premiere of the symphonic poem RIPENING by his friend Josef Suk. The performance was a sensation, and made his appointment as music director inevitable; it happened in 1919. He was also conductor of the National Theater in Prague from 1935 to 1941. He raised the Czech Philharmonic to a the level of a leading international orchestra, giving fiery performances. He is still considered the greatest conductor of the Romantic and early twentieth century Czech repertory.